Gain a working knowledge of German language and culture and launch yourself into the top 5 percent of U.S. college graduates. Whether you start a career as a teacher, professional in international business, government, or are planning to go to graduate school, you'll find that German is a vital world language. After all, Germany is the financial heart of the European Union, the world's largest trading block, not to mention the second largest exporter. So take hold of the opportunities our experienced faculty can connect you with. You'll have the chance for internships or student teaching and even employment by German firms in the South and abroad. Take advantage of our study abroad program in the heart of Europe — Vienna, Austria. And grow in the Spirit with a special Bible course where you'll visit the Amish and also learn about the German Christian resistance in World War II. You'll interact with important figures in German life, from business and politics to the music industry, international relations and education. The global learning experience you receive here will provide you the confidence you need as a K-12 teacher or a business professional. 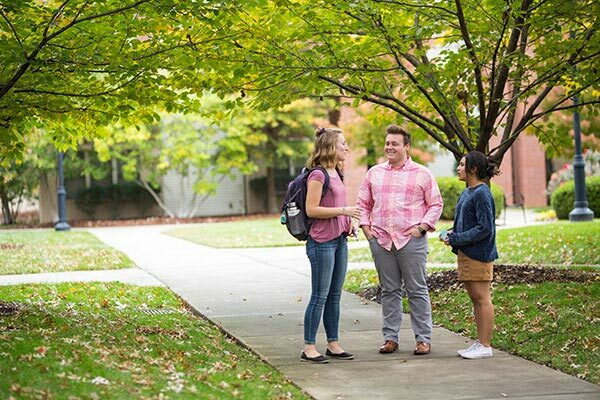 If you studied German in high school and intend to continue your studies at Lipscomb, we require a language placement test prior to registering for classes. The cost of the test is $10 and usually takes 15-20 minutes to complete. We've designed our German curriculum to be flexible and accommodate a variety of academic and professional interests; our beginning courses will enhance any major in the university. Students majoring in German are encouraged to take courses in European history. Students are also encouraged to take another modern language. Before registering for any German class, students with previous high school credit in German must take the department's computerized placement test. This test, which takes approximately 20 to 30 minutes, will determine the proper level for which the student should register. If a student majors in French, German or Spanish, he/she may earn a distributive minor by taking the first year sequence of any two of the other languages offered in the department.